POLICE DATABASE EXPANDS: You may remember the Kitsap Sun story about the Law Enforcement Information Exchange (LinX), in which Naval Criminal Investigative Service agents were working to thread together a database of all reports gathered by local law enforcement agencies. (The effort began in a Levin Road basement.) Keep in mind that prior to 9/11, a lot of data collected by law enforcement, including field interviews, mug shots, and investigative narratives, could only be accessed only by the agency that created them. I asked Keith Haines, LinX’s regional program manager, how it was going. He said LinX, which already encompasses most law enforcement agencies on both U.S. coasts, has begun integrating with the FBI’s “N-DEx” system, which will host a nationwide database that hopes to include all U.S. law enforcement reports. FINGERPRINT SCANNERS: Did you know King County Sheriff’s Office is using pocket-sized fingerprint scanners to identify uncooperative and unscrupulous suspects? Regular readers of the Kitsap Sun will know these debuted in Kitsap County five years ago. The followup, by the Seattle Times, is that they’ve got more of the bugs in them worked out. HOMEOWNER CONFRONTATION: Imagine going outside your home to find someone holding your machete and chainsaw. Not only do you own them, but you wouldn’t want a stranger swinging them at you, either. Last week, a homeowner west of Long Lake had just that encounter — and he wrestled the machete away from the stranger, chased him down the road and told him to stay put until Kitsap County Sheriff’s deputies arrived, reports say. Deputies said the suspect remarked that he’d “only get a criminal trespass for this.” Prosecutors have charged him with burglary. HANDCUFFED AND RUNNING: An Alaska man was arrested Friday for trying to pass counterfeit $20s at Walmart. Poulsbo police responded and the man let them look in his wallet, where officers found six $20s with the same serial numbers. Police had handcuffed the man, who’d also violated probation and had him sit on the push bars of a patrol car. That’s when reports say the man “jumped to his feet and took off running … still in handcuffs.” An officer gave chase and tried his Taser, but missed. The suspect was ultimately tackled and taken the Kitsap County jail. 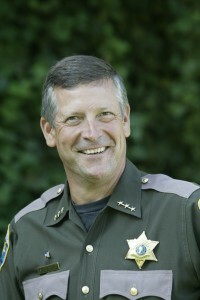 In his former life as a Washington state trooper, Kitsap County Sheriff Steve Boyer recalls watching a motorist one day drive around a Walmart parking lot, encircling it several times at about three miles an hour. Round and round the car went, until Boyer’s hit his overhead lights and brought the car from its crawl to a halt. The driver was stoned, Boyer recalled. The sheriff used the story to explain to me his mixed feelings about Initiative 502, which would legalize the possession of marijuana for adults 21 and over. The driver was certainly not the worst he’d ever seen, having responded to too many alcohol-fueled fatality crashes. But he looks at the issue from a public health standpoint: would Washingtonians be better off if they could purchase weed at a store? “Do you really want to add it to the mix” of our currently legalized libations? he asked. For the record, Boyer will not be following suit of King County Sheriff Steve Strachan, who has come out in favor of the initiative. Boyer will be voting no on it. But the issue’s merits are a conversation he wants to have. He believes that medical marijuana, whose patients in this state have long operated in a legal gray area, can help people. And he does not view pot as a scourge on society in the same way as, say, meth or heroin have been. “Marijuana being an evil weed causing all the problems in this country? I don’t buy that,” he said. The plant remains a so-called Schedule 1 narcotic — meaning it has a high potential for abuse and has no value medically — in the eyes of the federal government. Use of any substance not prescribed for medical use — legal or illegal — “do not usually make a person’s life better,” he said. He doubts the criminal justice system will save money by not having to prosecute simple marijuana possession. “There are very few people in jail for recreational marijuana,” he said. Boyer reiterated his willingness to continue the discuss and that he could change his mind about possible future initiatives. For now, he’s still weighing the issues, but isn’t ready to vote to end marijuana prohibition. For the first time since Gallup began keeping count, 50 percent of Americans believe marijuana should be legalized. That’s according to its newest poll, released Monday, which also shows that 46 percent still believe the drug should be illegal. Nonetheless, that’s a far cry from the 1970 numbers, in which only 12 percent of Americans supported legalization. And bear in mind, we’re not talking about medical marijuana here: this is outright legalization. A previous Gallup poll found greater strength — 70 percent in favor — for providing people pot whose pain and symptoms it could help relieve. Interestingly, the numbers of pot legalization proponents have really gone up, doubling in the past 15 years. In 1995, about one in four people was in favor of it being legal. Things really caught fire in 2009. 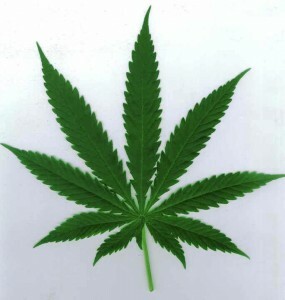 These days, even Washington lawmakers have entertained the possibility of legalizing it. I’m curious what the sweeping approvals of medical marijuana laws around the country has done to expose the nation to the drug (some 16 states now have laws on the books). My curiosity is less about the notion there’s more legal marijuana in the country, and more about the idea that more people know someone who’s found marijuana effective in curbing their pain. Rather than debate the age-old question of legalization, my inquiry to you, readers is this: do you believe the medical marijuana movement has advanced the wider legalization movement? Why or why not?